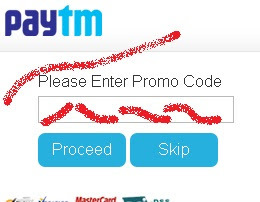 PayTM , the leading online recharge , bill payment and bus ticket website, provides a list of active Promo codes and cash back offers . Promocode:GET200 → Rs 40 Cash back for minimum amount of Rs 400 Recharge; 5 times per user, working on both app and desktop site. Promocode: RECH10→ Get 10% cashback on Recharges & Bill payments of Rs 250 & above. 3 times per DTH number. Promocode: DTHNEW→ Rs 100 Cash back for minimum amount of Rs 500 Recharge; 1 times per user, working on both app and desktop site. Promocode: DTH5→ 5% Cash back for all DTH recharges. 3 times per DTH number. Promocode: APPTRIP50→ 50% cash back on bus ticket bookings of minimum Rs 500. Maximum cash back amount is Rs 275. 3 times per number. Only for App users. FREE100 : Only one time as a new user, cash back of Rs 100 on a recharge of Rs 50 or above. » Valid for first time users only. » Promo code can be used 1 time by one user per number.